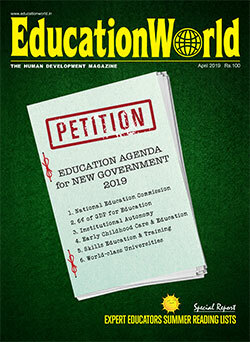 Established in 1978 as a neighbourhood school in Shastri Nagar, a suburb of Ghaziabad in Delhi NCR, the low-profile Nehru World School (NWS) has traversed a long, eventful distance over the past 40 years — from a Hindi-medium Uttar Pradesh state board-affiliated school to a progressive English-medium K-12 institution offering the CBSE (Delhi) and Cambridge International (UK) curriculums to 1,540 students instructed by 98 teachers. 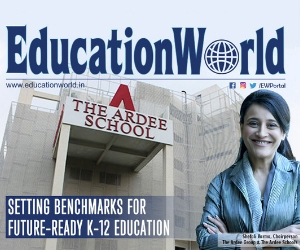 In the latest EducationWorld India School Rankings 2018-19, NWS is ranked among the Top 10 co-educational day schools in Ghaziabad and Top 100 in Delhi NCR. Moreover, NWS has earned an excellent reputation for introducing 21st century teaching-learning innovations such as active learning and maths programmes in association with the world-famous online learning pioneer Khan Academy, USA. NWS’ origins are modest. It was promoted by banker-turned-edupreneur N.K. Choudhary and his teacher wife, Arun Choudhary, under the aegis of Nehru Bal Niketan Managing Committee, in a small rented building four decades ago. In the late 1990s, it shifted to its present 1.5-acre campus and in 1996, switched to English medium teaching-learning after receiving CBSE affiliation. In 2016, it was awarded affiliation by Cambridge International (CAIE), UK. Credit for the 360 degree turnaround of NWS from a state board-affiliated into an international school is widely given to Arunabh Singh, who took charge of the school’s administration from his parents in 2006. 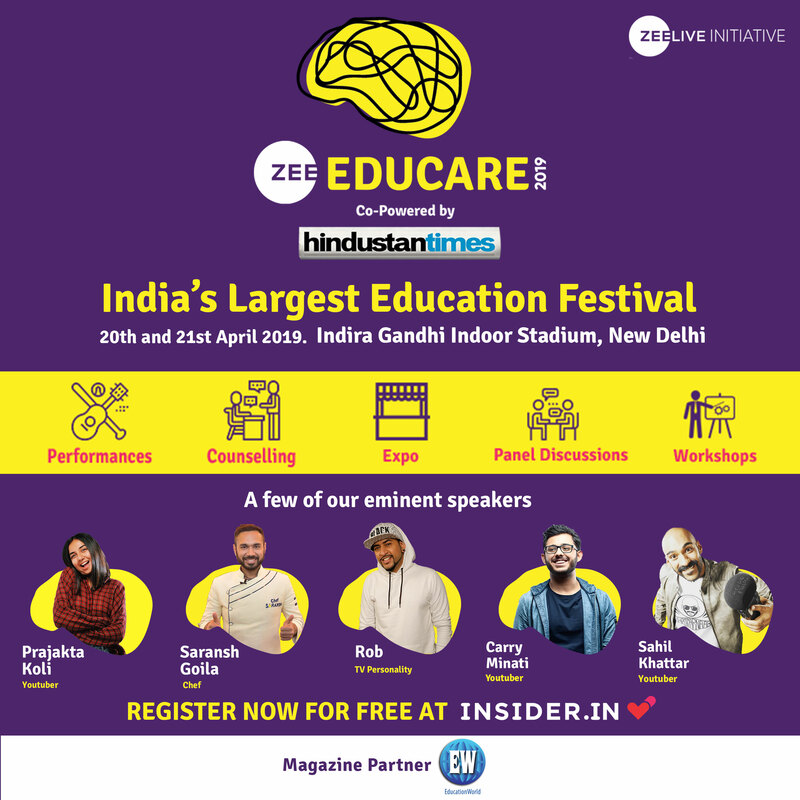 A graduate of Hindu College, Delhi University with a Masters in education management from King’s College London, Singh has successfully transformed the school into a progressive institution and the first Cambridge International-affiliated school in Ghaziabad (pop.2.3 million). It’s also the first K-12 institution in Ghaziabad to receive the British Council’s International School Award (ISA) in 2011 and conferred the status of an ISA ambassador school. “Right from the start, NWS was built on a strong foundation of values which placed children at the centre of all teaching-learning activity. We have grown organically during the past decade from these strong roots to smoothly integrate modern pedagogies and technology innovations into our curriculum. Much of the inspiration to upgrade NWS came from my postgrad study experience in London where I realised that inquiry-based pedagogy is far more effective than our content-centric rote learning system. Consequently when I returned to India and took charge of NWS, we introduced several pedagogy innovations for experiential learning through a mix of hands-on activities and new technologies,” says Singh, a master trainer certified by British Council to conduct student leadership programmes. Among the innovations introduced by the NWS management during the past decade are the country’s first 3D Lab, mobile computer/science labs and its Active Learning Alignment programme to train the school’s 98 teachers to actively engage children in the learning process. In 2012, the school set up a 3D lab equipped with DLP (digital light processing) projectors to facilitate and accelerate maths, science and English learning. This was followed by introduction of mobile computer labs — trolleys loaded with laptops and charging stations are parked in the school corridors for students to wheel into their classrooms. Currently, there are eight mobile computer labs with laptops, Chromebooks and tabs. Moreover each classroom has its own library of 80-100 books. The school’s management derives considerable satisfaction from claiming that NWS is among the first four schools countrywide offering the English Language Quality Standards Programme of the British Council introduced in 2015 to improve English teaching. Moreover, last year NWS was one of two schools countrywide chosen by Khan Academy, India for introducing a programme to supplement maths classroom teaching with online learning videos. And more recently in 2018, NWS launched its ambitious Start-up Superstars student entrepreneurship programme designed to enable children to learn problem-solving, value of money, collaboration, team work, critical thinking and other cross-curricular skills for classes I-XI students. 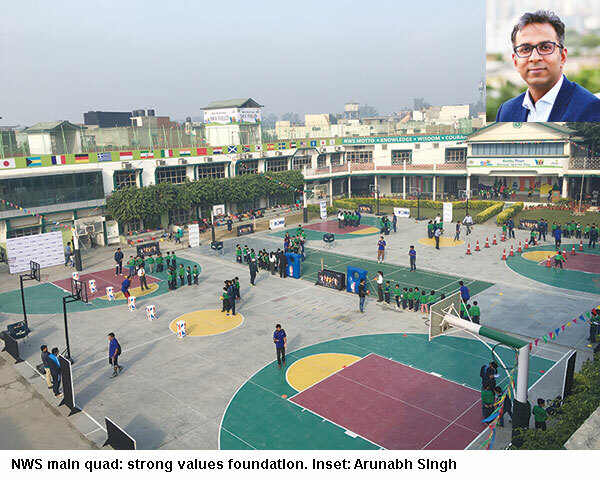 With land values soaring in Delhi NCR, the NWS management has innovatively designed and transformed the school’s 1.5-acre campus to provide co-curricular and sports education to its 1,500 students including 702 girls. 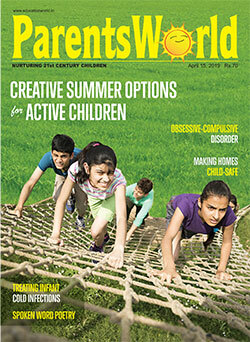 In 2012, NWS became the first school in Delhi NCR to build a rooftop playground — the 1,200 sq. ft skyfield — which serves as a mini football, handball and practice pitch for cricket among other sports. In addition, at the ground level it has constructed modern basketball courts, a badminton court, swimming pool and play area for pre-primary children. Academic facilities include 52 air-conditioned classrooms, five science laboratories, eight computer labs, visual art and music studios, two audio-visual rooms, a state-of-the-art video conferencing facility, a library stocked with over 10,000 volumes and a Multiple Intelligence(s) Resource Centre. “The objective of all our initiatives is to provide holistic education to our children and prepare them for the challenges of the 21st century. Institutional innovations will continue as we are committed to continuous improvement to transform NWS into a model school. Our innovation and progress during the past decade demonstrates it is possible for small-town non-metropolitan schools to also adopt and integrate global best education practices,” says Singh. Registration for nursery begins in September for the next academic year. Admission into all other classes is dependent on performance in an entrance test and interview.